This is an interesting book about the relationship between two major and enigmatic characters of the Civil War. Abraham Lincoln, often criticized and mocked when he came to office, but who grew into greatness, and George McClellan, initially perceived to be a great soldier but now seen as an arrogant failure and procrastinator whose procrastination (according to many) extended the civil war. Author Waugh does not demonize McClellan. Indeed, he gives him high credit for being a brilliant engineer and organizer who whipped the Army of the Potomac into shape in 1861. Unfortunately, McClellan sculpted a fine fighting animal which rarely fought or dis-inclined to throw the first punch or indeed any punch! Despite this, McClellan had many supporters in the military and Washington circles. Helmuth Von Moltke, Chief of Staff of the Prussian army stated that firing McClellan was a mistake. Ultimately though, Lincoln did not have a choice. 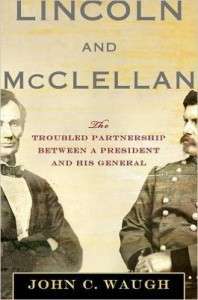 McClellan’s level of insubordination for a President he deemed to be his inferior was extraordinary and it was extraordinary that he was allowed get away with it for so long. Some historians suggest that Lincoln’s ability to accept McClellan’s behavior was a sign of great leadership and ability to work with a team of rivals. I personally don’t buy that and believe that Lincoln showed weak leadership at that stage of his presidency. Just a few years ago, General Stanley McChrystal was sacked for but one tenth of what McClellan went on with. Waugh is a good writer. This is not a long book, but it is interesting and enjoyable and a quick read. Book review written by Chicago based motivational business speaker, master of ceremonies and humorist whose mission is to improve people, performance and productivity. Conor also happens to be a history buff. This happily exiled Irishman also happens to be a history buff and inveterate reader. 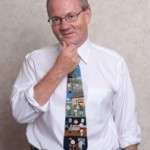 As a motivational, inspirational and very humorous keynote speaker and master of ceremonies, Conor’s clients range from Harley-Davidson to Helsinki, from Memphis to Madrid. Below, is a clip from Conor’s one man show – For the Love of Being Irish.